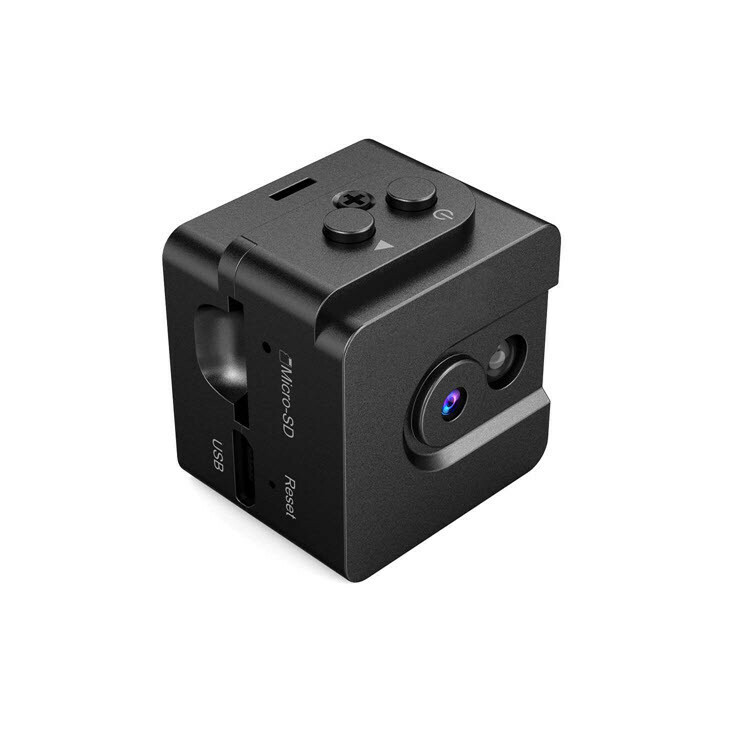 Super Mini Small Camera: OMGSPY14 hidden video recorder (1.0in, 0.6oz cube) is the world’s smallest portable pocket body camera. You can record both photos and videos without attracting any attention. The small and portable design makes it perfect for home security and secret monitoring. 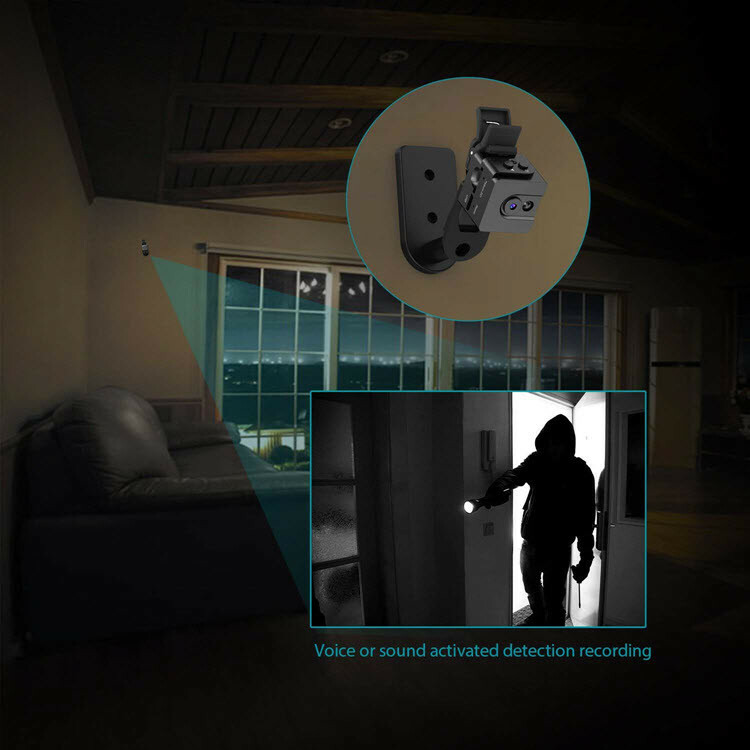 It can also be used as a nanny cam. Superior HD Videos and Photos: Records video in exceptional 1280 x 720p HD at 30 frames per second. In addition to high quality daylight videos and photos, this body cam can also record in total darkness with a range of 10 to 15ft. Sound Activated Recording: Can be set to record automatically when triggered by any sound greater than 60dB. At that point, the camera will record a two-minute video clip. 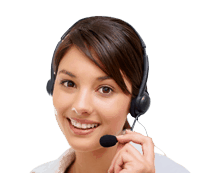 If you want to record videos manually, you can extend the length of the videos up to five minutes each. 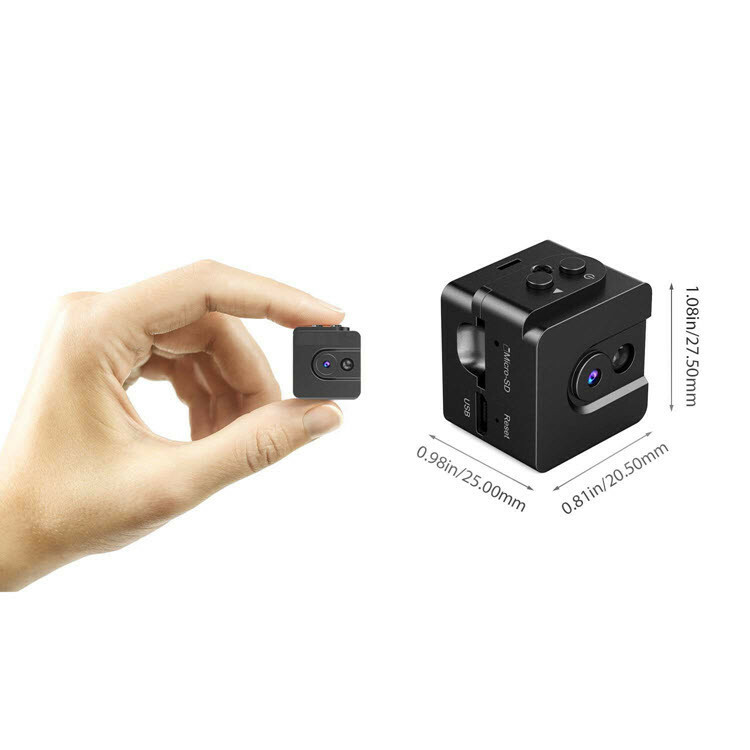 Loop Recording Body Cam: This spy cam supports class 10 microSD cards with at least 8 GB and max 32GB capacity (microSD card NOT included) for loop recording. When the card is full,it will automatically overwrite the oldest video files with new ones. It also supports recording and charging at the same time, so you don’t need to worry about running out of battery life. 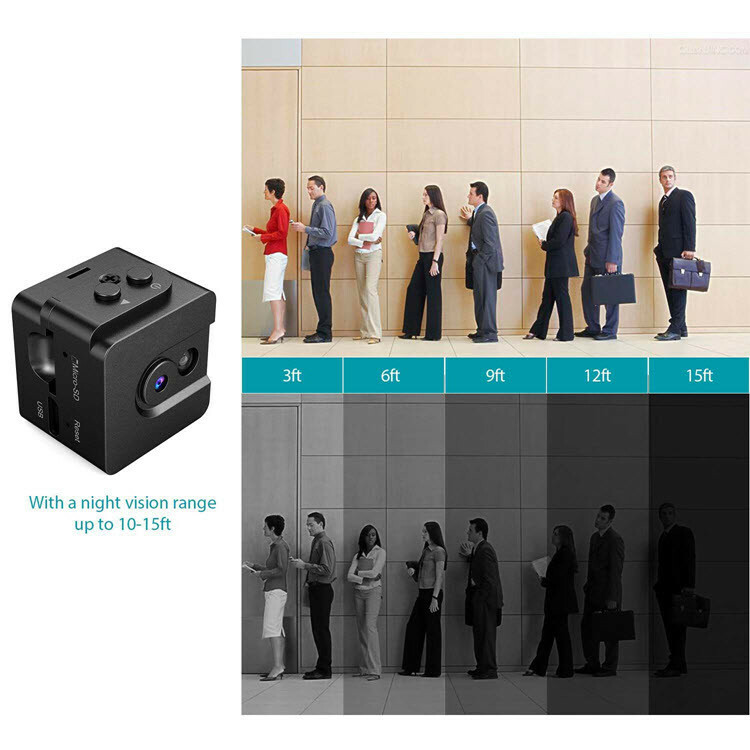 Sized as 0.81*0.98*1.08 inch, the miniature spy camera is the world’s smallest portable pocket body camera. 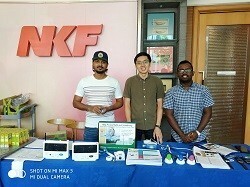 The small and portable design can be used as a normal video camera or hidden camera to protect home and secret business monitoring.It can also be used as a nanny cam or housekeeper cam. 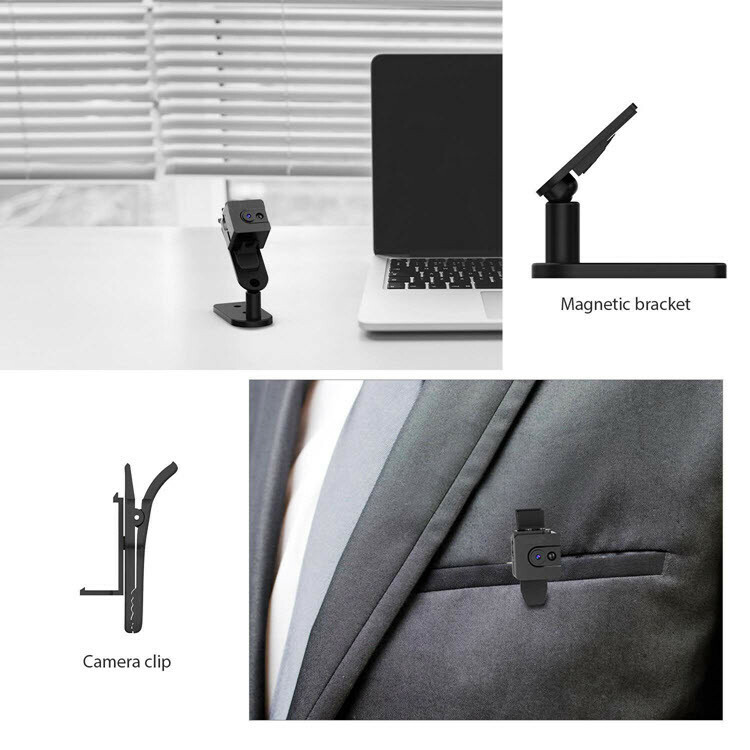 With the included camera clip and magnetic bracket, you can mount the camera on a desk, on the wall, and even as a pocket or body camera by hanging it on your pocket, just take it everywhere you go to record every moment. 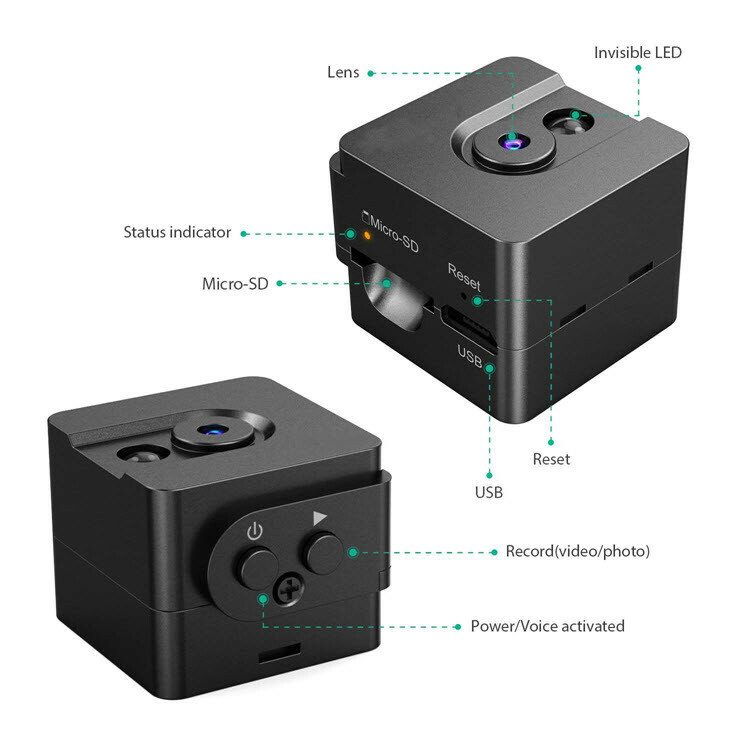 Before using your OMGSPY14 Camera, you need to charge it and install the microSD card, then start using the camera and select specific mode to record based on your need, such as sound-activated recording and manual recording. Last but not least, we’ve prepared the professional and detailed user manual in the package, you can find all the instructions there. 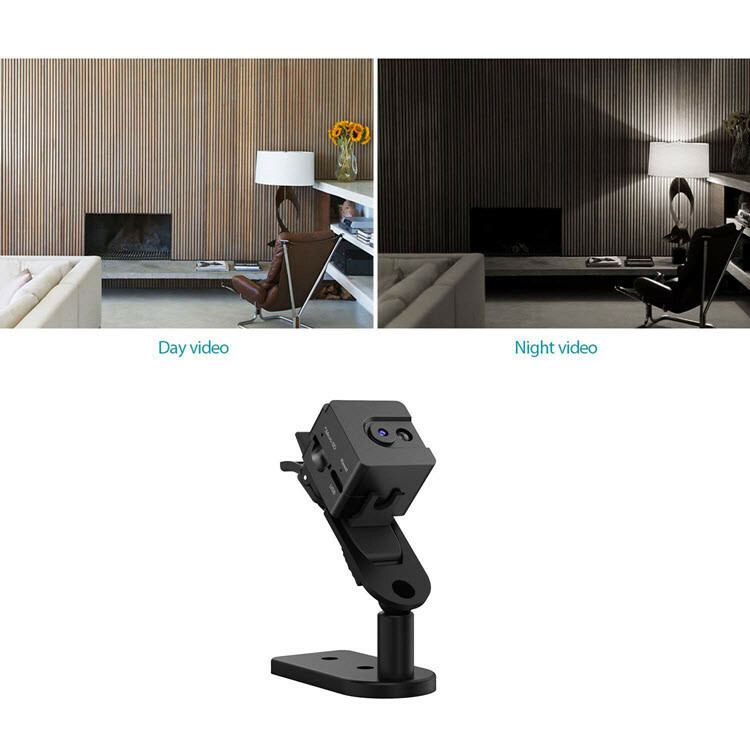 Night vision mode: records in total darkness with a range of 10 to 15ft. Nevert to worry about shortage of the battery and card capacity. 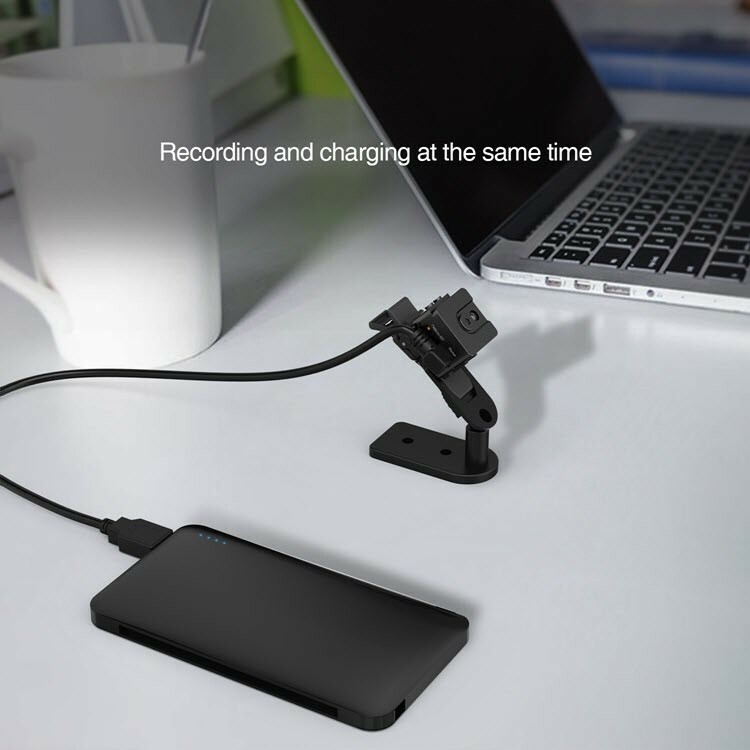 It supports recording and charging at the same time, you can attach an external power bank to charge, so you don’t need to worry about running out of battery life. You can’t imagine such a small camera works that perfect. It records video in exceptional 1280 x 720p HD at 30 frames per second. In addition to high quality daylight videos and photos, this body cam can also record nightlight black and white video.